Here are some photos of poor children studying. Due to lack of space indoors they study outdoors or away from their homes. 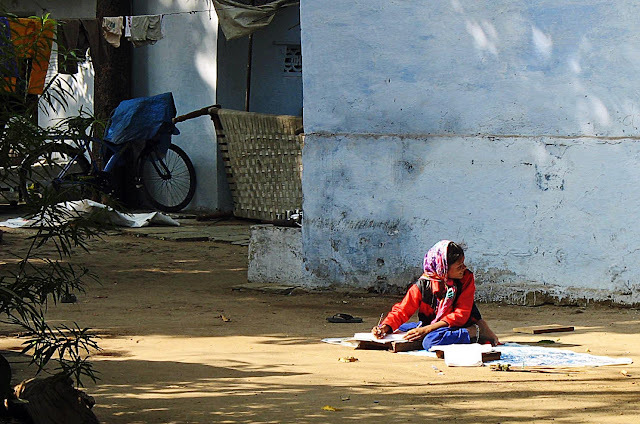 In this picture a girl is sitting outside in the courtyard of her little house with her books. This photograph is taken outside a school during the exams. A teenage boy is revising some points that he has jotted down on a piece of paper. The next two photographs are taken at Sabarmati Ashram in Ahmedabad, Mahatma Gandhi's memorial. Poor children often come to this quiet and peaceful location to study. 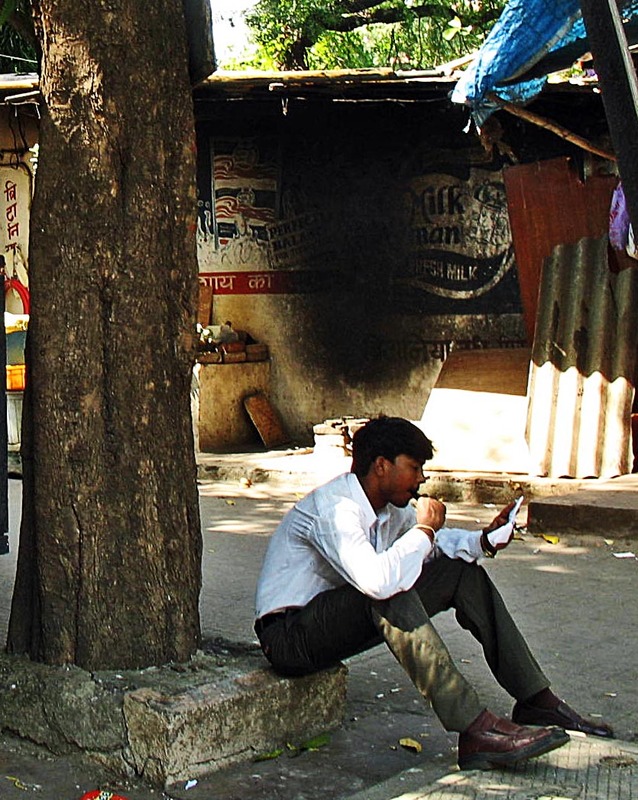 In this picture a boy is sitting on the lawn pouring over his books. In the background are some picnickers. 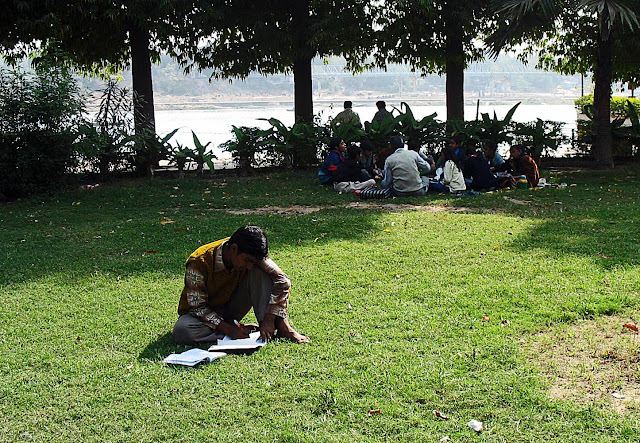 Here is another boy studying on the lawns of the ashram, in the serene and green surroundings. To the right of the image is a statue of Mahatma Gandhi.